Who were Edwin Binney and C. Harold Smith and what inspired them to create Crayola crayons? How did children color before crayons existed? In the past century, what other amazing products has Crayola invented? 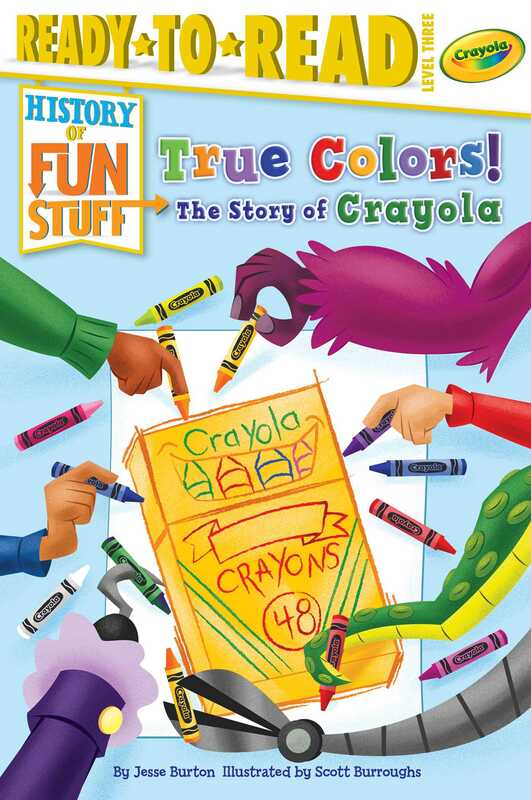 Now you can learn about more than a century’s worth of Crayola’s innovations and become a colorful History of Fun Stuff Expert! A special section at the back of the book includes Common Core–vetted extras on subjects like social studies and math, and there’s even a fun quiz so readers can test themselves to see what they’ve learned! Learning about history has never been so much fun! © 2018 Crayola, Easton, PA 18044-0431. Crayola Oval Logo is a registered trademark of Crayola used under license. Jesse Burton is an editor and author of children’s books. He has lived most of his life in different towns along the Hudson River in New York. Jesse frequently takes long walks along the river for inspiration!